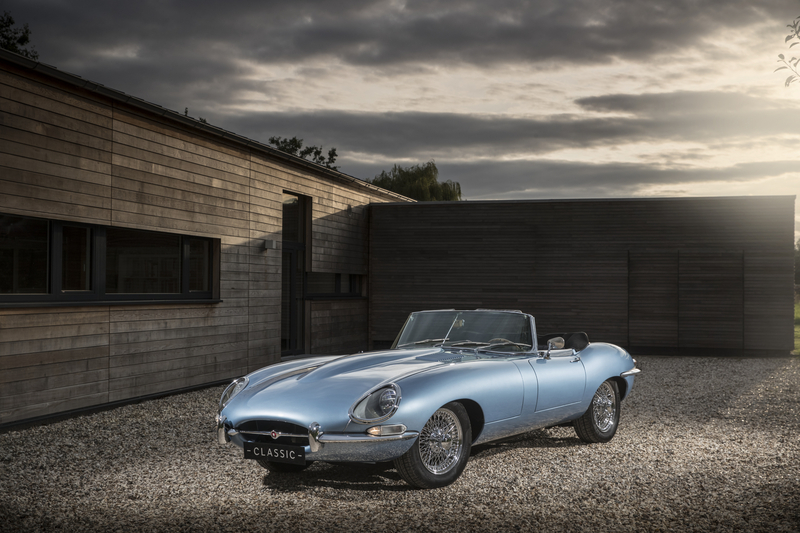 The achingly handsome Jaguar E-Type Zero sat before you may well have got lost in the recent media furore surrounding the announcement that “all new Jaguar Land Rover models will be hybrid or electric by 2020”. For a start, that statement isn’t 100 per cent correct, as Jaguar Land Rover will merely offer an electric or hybrid variant across all of its model lines, rather than replace them entirely and, more importantly, just look at this all-electric Jaguar E-Type. What Enzo Ferrari once dubbed “the most beautiful car in the world” has been given a thoroughly modern makeover, with a 220kW electric powertrain that sees this retro-futuristic fusion accelerates from 0-62mph in a mere 5.5 seconds. 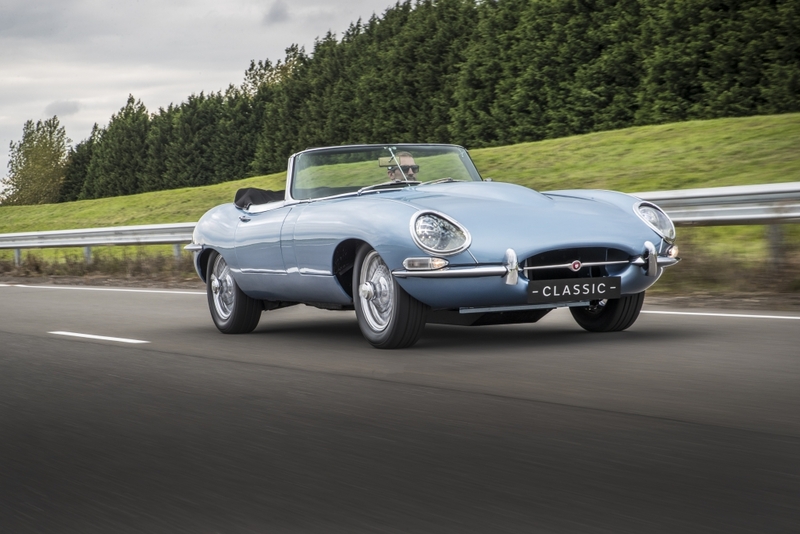 Based on a lovingly restored Series 1.5 E-Type, this one-off concoction replaces the XK six-cylinder engine with a lithium-ion battery pack and high-performance electric motor, but leaves almost all of the original car’s seductive features. 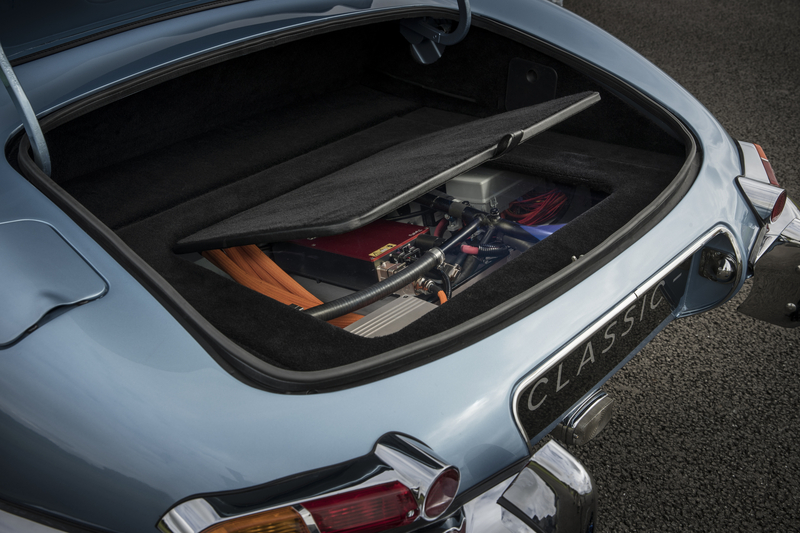 The only key differences with the Jaguar E-Type Zero are the LED light clusters (employed to achieve greater energy efficiency) and a bespoke digital instrument fascia and infotainment system, which neatly propel this icon into the modern era. 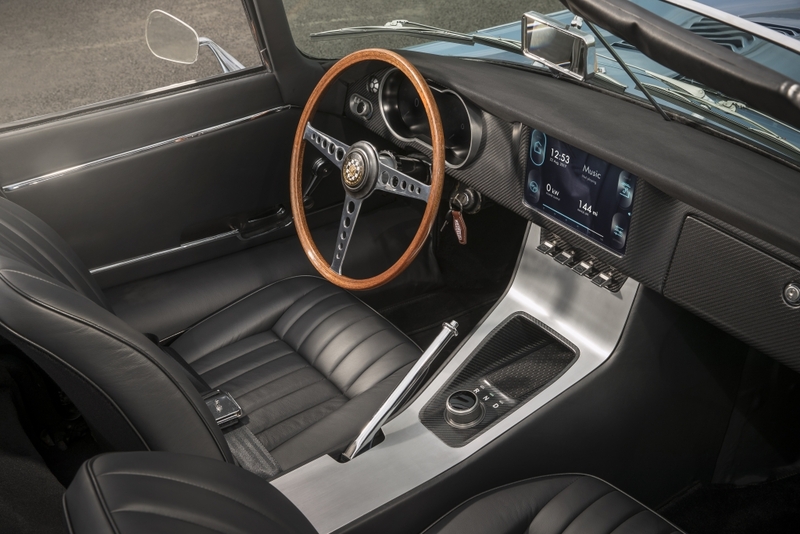 It is a heady mixture of nostalgia (we love the wooden steering wheel) and truly futuristic technology, proving that electric vehicles aren’t just the reserve of eco-conscious do-gooders. 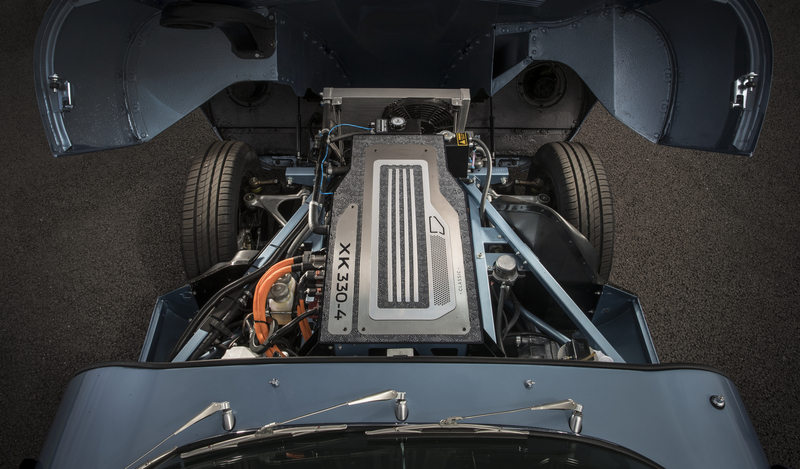 Amazingly, much of the electric powertrain, which has been borrowed from the upcoming Jaguar I-Pace, is packaged in the same location as the original engine, with the electric motor (and reduction gear) sitting just behind the battery pack, in the same location as the E-type’s gearbox. And to get really nerdy, a new propshaft sends power to a carry-over differential and final drive. As a result, the Jaguar E-Type Zero actually weighs 46kg less than the original E-type. To keep in the spirit of the original car, the engineers at Jaguar Land Rover Classic Works in Coventry left the E-Type’s basic structure untouched, meaning suspension and brakes haven’t been changed, so ride and handling apparently still feel like the real thing. According to its makers, the lightweight electric roadster has a ‘real world’ range of around 170-miles thanks to the relatively hefty 40kWh battery pack, which can be charged in six hours or so via a conventional power source. But perhaps more interesting is the fact that Tim Hannig, director at Jaguar Land Rover Classic, claims that his company could use this technology to “transform any classic XK-engine Jaguar”. That means the XK120, Mk2 and XJ6 are all open for some wild electrification and if this is the future of EVs, it’s time to get excited.